“There is a great work to be done in England. The light radiating from London should beam forth in clear, distinct rays to regions beyond. God has wrought in England, but this English-speaking world has been terribly neglected. England has needed many more laborers and much more means. London has been scarcely touched. My heart is deeply moved as the situation in that great city is presented before me. It pains me to think that greater facilities are not provided for the work throughout Europe. I have sore heartache as I think of the work in Switzerland, Germany, Norway, and Sweden. Where there are one or two men struggling to carry forward the different branches of the cause, there should be hundreds at work. In the city of London alone no fewer than one hundred men should be engaged. The Lord marks the neglect of His work, and there will be a heavy account to settle by and by. 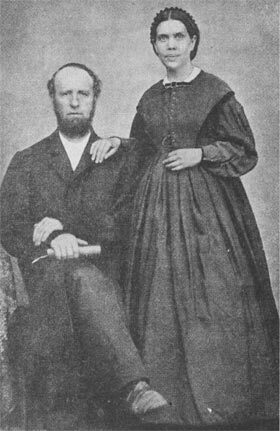 “It was her great desire to see the message of present truth proclaimed in every land, that led Mrs. White during the 1901 General Conference to outline very clearly God's purpose in building up the work along broad lines in the favored regions of the earth. It was her desire to see the message proclaimed in heathen lands, that led her to urge the establishment of institutional training centers in Great Britain, and on the Continent of Europe, as well as in Australia and in the Southern States of America. She pointed out the folly of restricting the work in such places. "Let us not forget the English-speaking countries," she pleaded, "where, if the truth were presented, many would receive and practise it. London has been presented to me again and again as a place in which a great work is to be done. . . . Why have not workers been sent there, men and women who could have planned for the advancement of the work?" Self-Supporting Missionaries	"I have wondered why our people, those who are not ordained ministers, but who have a connection with God, who understand the Scriptures, do not open the Word to others. If they would engage in this work, great blessing would come to their own souls. . .
"Let no one suppose that the work in London can be carried forward by one or two. This is not the right plan. While there must be those who can oversee the work, there is to be an army of workers striving to reach the different classes of people. . . .
“The Lord will plan for us if we will let him do this. It is his money, not ours, and he expects that every one will ask wisdom from him in regard to the use he makes of his means. Places that have so great need of workers and facilities as Europe and London are a world in themselves, and yet, while thousands upon thousands of dollars have been invested in buildings in Battle Creek. London has scarcely been touched. England has needed many more men and much more means, but the supposed wise men have managed in a remarkable manner to reveal that their wisdom was foolishness, while they were so filled with conceit that the Lord could do nothing for them. They were working at cross purposes with God, pursuing a course in the management of their business transactions that made them feel independent, and they have taken money for their supposed capabilities, which they did not earn. The Lord does not want men to pile up buildings as they have done in Battle Creek. There is a large field to be worked, and a variety of talents in money and intelligence and experience are to be transferred to England.